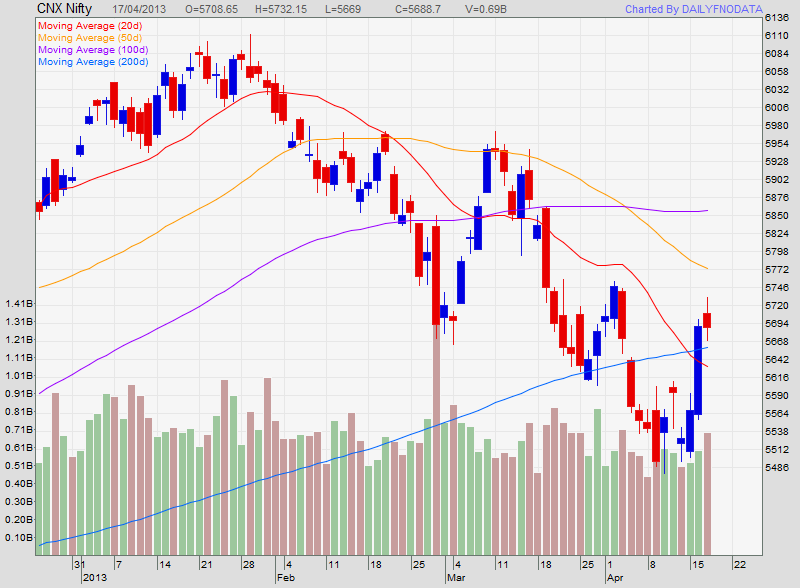 Nifty faces a resistance at 5730 during the trade today. After a good rally during the last two days which has added around 200 points to Nifty seems fizzling today. After a small gap up at 5780.65, Nifty moved higher and it was expected that Nifty will face a resistance around 5740 or 5750 which is supposed to be the immediate resistance. But before that the Nifty faces a resistance below these levels and made a high of 5732.15 in early trade. After the high of 5732.15, Nifty tries 2-3 times during the day to cross this level and try to meet 5740 but it is sold out below that levels. Nifty made a lower highs during the day which is a weak signals. 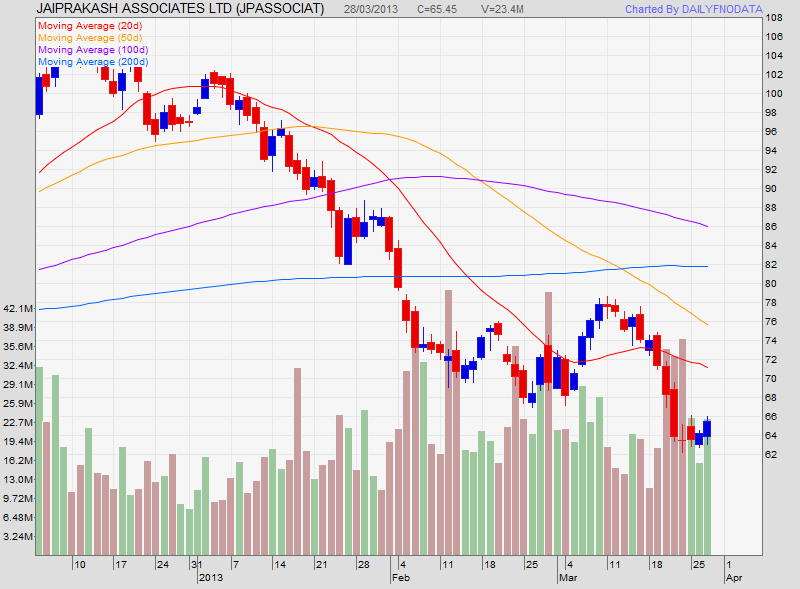 Considering the weakness, we had also given a sell call in Nifty at 5720 with a target of 5680. Immediate after our call the Nifty slide and touched a low of 5669 which was much lower to our expectation, which again shows a weakness in the market. We had given the call around 12:50. A pickup in manufacturing will help the new government under Premier Li Keqiang sustain a rebound after factory output had the weakest January-February growth since 2009 and Goldman Sachs Group Inc. questioned the strength of exports. Faster expansion may also fuel inflation, spurring tighter monetary policy from the central bank. “We are clearly in a lot better state than we were at the end of last year,” Alistair Thornton, a Beijing-based economist at researcher IHS Inc., said in a Bloomberg Television interview, terming the momentum “modest.” At the same time, the economy faces “fairly large headwinds” including property curbs and tighter supervision of so-called shadow banking, he said. The surveys compare with a quarterly report showing confidence among big Japanese manufacturers improved by less than economists estimated. Another HSBC survey showed South Korea’s manufacturing expanded at a faster pace in March. China’s largest cities, including Beijing and Shanghai, tightened rules on home purchases, effective yesterday, after the central government called for stepped-up efforts to cool the property market. The nation’s banking regulator told lenders last week to limit investments of client funds in debt that isn’t publicly traded and to isolate such risks from their operations. Economic growth may have accelerated for a second quarter to 8.1 percent in the first three months of this year, according to the median estimate in a Bloomberg News survey last month.